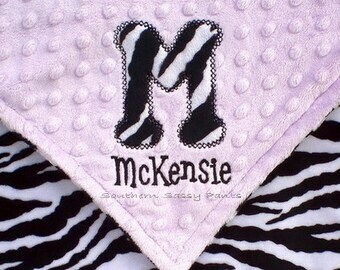 Wrap baby girl up in this super soft blanket. This double sided minky blanket has pink, aqua and green paisley minky on one side, and your choice of a colid colored minky dot on the other side. 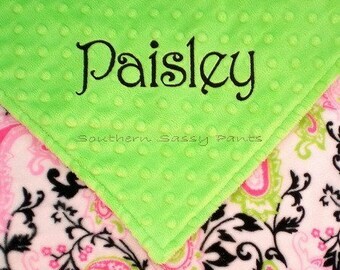 For a special touch, add personalized embroidery for a very thoughtful baby shower gift!! Ordering is easy! 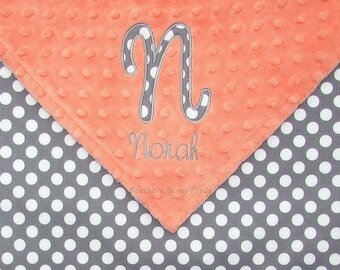 All you need to do is tell me which color of minky dot material you would like to have paired with the cotton print. 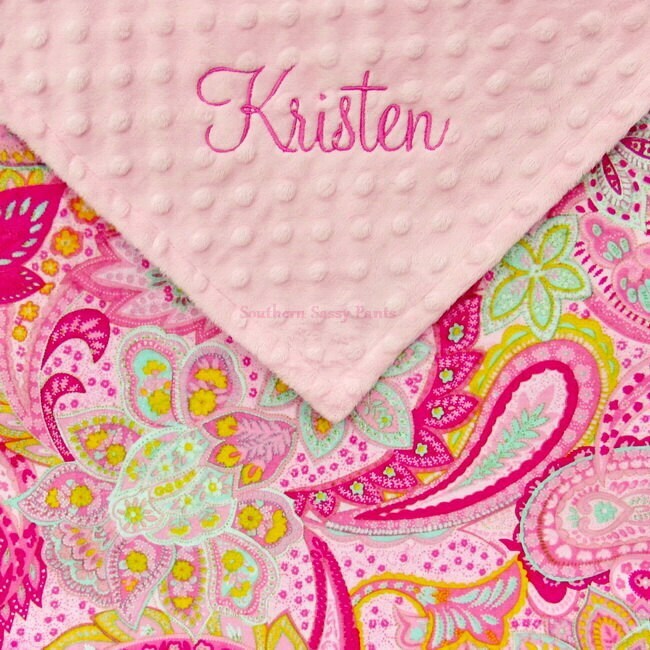 I bought this as a gift for my newest niece, and it was beautiful! 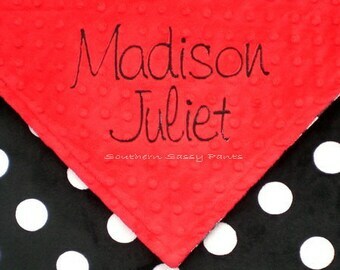 The embroidery was perfect and the lettering was really beautiful...we used the blanket as a prop in the baby's neeborn photoshoot, and it photographed perfectly. Thank you!